This was my first time ever ordering anything live online. Had a problem with the checkout but through a few emails with Philip who responded in a timely manner was able to get it fixed. 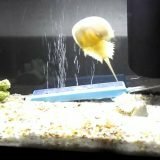 All the snails arrived alive and was package well. Will be ordering from KP Aquatics in the future! Thanks again guys. Awesomee customer service!! Just got my first order this morning and wow! These guys were beyond generous with the extras they included. The size and quality of the pieces I ordered were just amazing. I will absolutely be a regular customer from now on. Thank you so much! If you are on the fence about ordering uncured live rock from these guys, take the plunge and order already! You will not be disappointed! This is by far the best rock I have encountered! 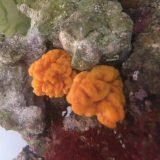 Covered in multiple colors of coralline, sponges, and macro algae. 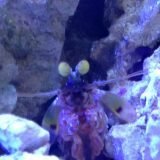 Within an hour in my tank I encountered 3 shrimp, a crab, an urchin, and countless feather like filter feeders. Do yourself a favor and order this rock! 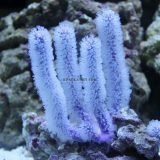 I had 1 item that didn’t survive shipping, a purple sea rod, which are known for being sensitive to shipping. 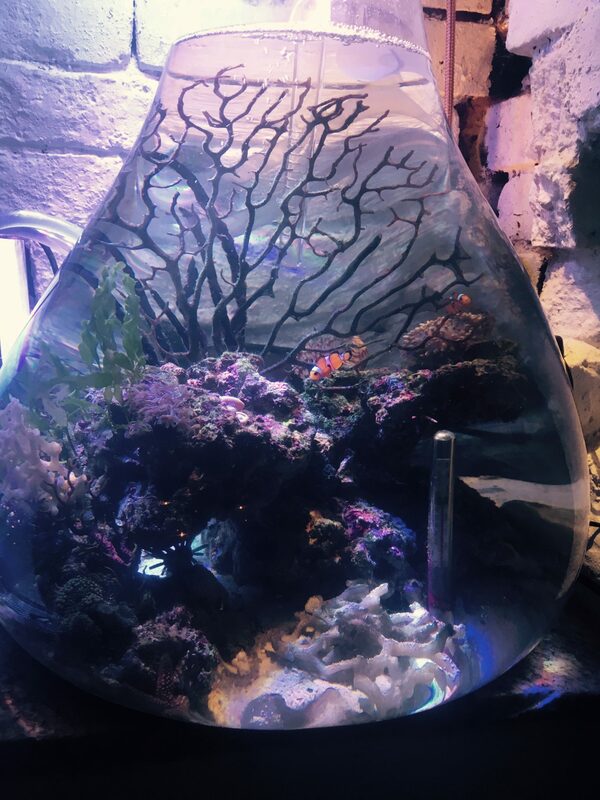 Philipp was very responsive and although I had already placed the item into my tank, after I sent him a few pictures he informed me to remove the item as it was already too far gone. He was quick to issue a credit for the lost item. I will definitely order from them again. 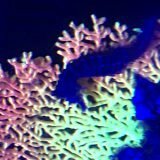 The ricordeas and neon gobies are settling in quite nicely and have great color. 10/10 on the macro algaes. Ordered x2 toadstool and got an extra one! :D/ also ordered some chaetomorpha and caulerpa–ALL made it great with priority shipping and the zoanthids did great too! Will definitely recommend to friends and order again! Customer service was great–they even included extra macroalgae fragments by my request!!!! Thanks again, Kara/Phillip!!! Recently received my 2nd order of Live Rock from KP Aquatics. Fantastic product. Very well packaged like every order i have placed. The rock is amazing!! Covered in all sorts of life and extra hitchhikers. Highly recommended and i wouldn’t run a tank without it. These guys really care. I had some losses due to excessive heat. They were as heartbroken as I was. I’ve ordered from them several times the livestock is too notch! If your a rural customer I would let them know so they can take proper steps to protect the livestock. Give them a try. I bet you’ll be back. I know I will! Received my 5 different gorgonias from KP Aquatics and they did not disappoint. I received big specimens like they were upgraded by them. They all opened in a few hours after placing in my tank. My favorite is the corky sea finger. They sent me a big specimen. 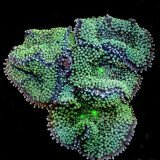 When it opened, the polyps are dense and long it gave the appearance of a hairy Yeti! It is so beautiful to watch sway with the water current. This gorgonia is a winner. I have ordered from K.P. about 4 times now. I can say without hesitation that I will buy more again. from their fast response and to go the extra time and distance to fulfill my order or replace it with something else only if needed.. the packaging is very precise. I have them use UPS. and to know when my UPS guy delivered it helps too. never had a bad experience. it is well worth the price because I know they care about me as their customer. I am in business for myself and that is what I would expect. please give them a try. I ordered 4 corals a couple of weeks ago and Phil from KPAQUATICS sent me an additional gorgonia as he felt the one that I ordered didn’t look as his site described. 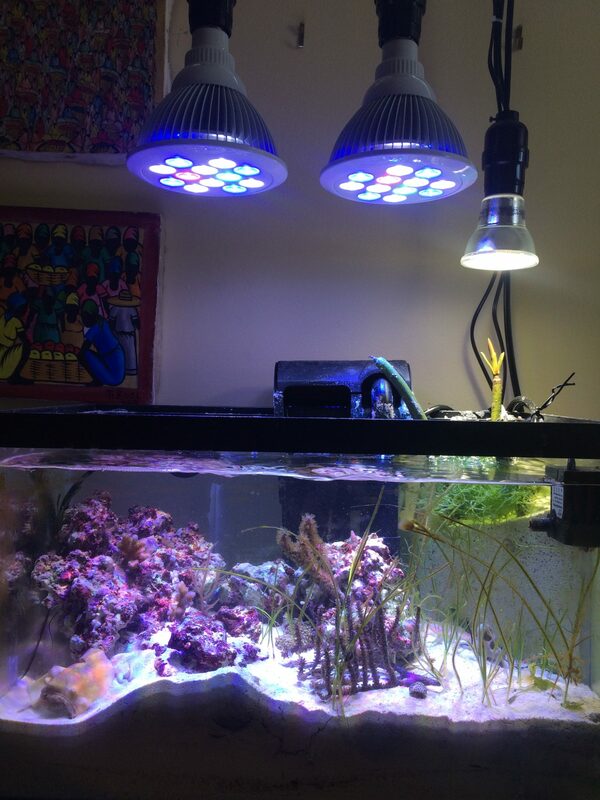 I was more than happy with the entire order, my LED lights really bring out the colors in the corals. They overnighted the order and it arrived earlier than I expected. Everything was individually bagged and sealed in a styrofoam box with a freeze pack which helped as this is the dead of summer. 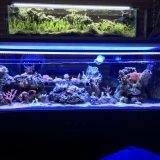 It’s been a week since I put everything in my DT and all the polyps are fully extended. 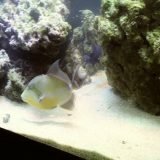 My tank in a Redsea 260. 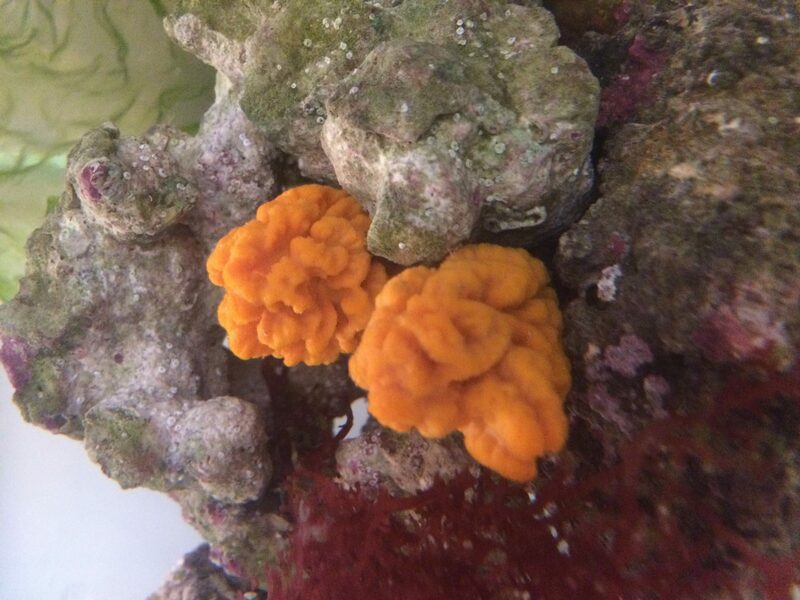 I’d order from KPAquatics again, hopefully they can stock up on more corals. It would also be nice to see more pictures of each item they sell. As per usual, a quick and speedy delivery. The Curly Cue was so small in the bag. But then when it got accustomed to the tank it really stretched out! It’s beautiful. My Peterson shrimp ( that I got from KP ) prefer to hang out in the algae instead though. I tried to put them in the acclimation box for them to get over their first stings ( which they did get ) but eventually, they just decided to jump out of the box instead. So the Curly Cue is just going to be a stand alone gem in the tank. Their loss I am sure. I will tell you I probably am the most skeptical person alive. I was very scared to first off buy fish on the internet and then have them shipped to me. everything was great. from using UPS FOR delivering to the package to the box it came in to the fish themselves. they are all alive and doing great. I love it. will I use them again. most definitely with out any doubt. thank you again and feel free to call me anytime to discuss this. Shipped quickly and I appreciate how consideration was aimed toward the health of the shrimp at arrival was the determining factor for shipping. I’ve purchased in the past and I’ll continue to purchase in the future. 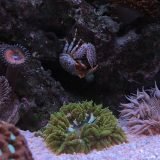 They love to hang out together and I look forward to the availability of the corkscrew anemone so I can get one for them. I have made four orders and everything is doing great. I also love the reduced shipping fee. It allows you to buy a lot more and to make more frequent purchases. Thanks for all your help . I needed advice and they were right there to help. Would buy again. Will buy again. My entire shipment arrived on time as promised and in excellent shape. Philipp even included an extra Masked Goby for me. 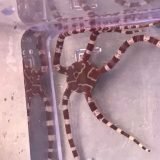 The Red Serpent Starfish that was send is absolutely AWESOME! 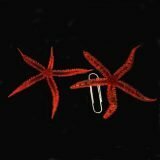 I also got a Red Brittle Starfish has is the brightest red I have ever seen. The Masked Gobies are so cute and really shoal together around the tank. They are out all the time and don’t bother any of the other inhabitants. They are a must have for anyone but especially for a nano tank. I got the Red Crab instead of the Emerald and I am so glad I did. He is out all the time (unlike the Emerald in my other tank) and is so much fun to watch. I can’t say enough about Philipp and the extra service he gave to complete the order. I had to wait for a couple of the items in order to complete my shipment, but boy was it worth it. Thank you Philipp. From start to finish, the purchasing process could not have been easier. A very user-friendly website, informative animal descriptions and great prices. I cannot remember the last time any business kept me so informed during the shipping period and then followed through afterward to make sure everything was to my satisfaction. Shipping prices were far better than I had expected and the packaging is best I’ve seen. 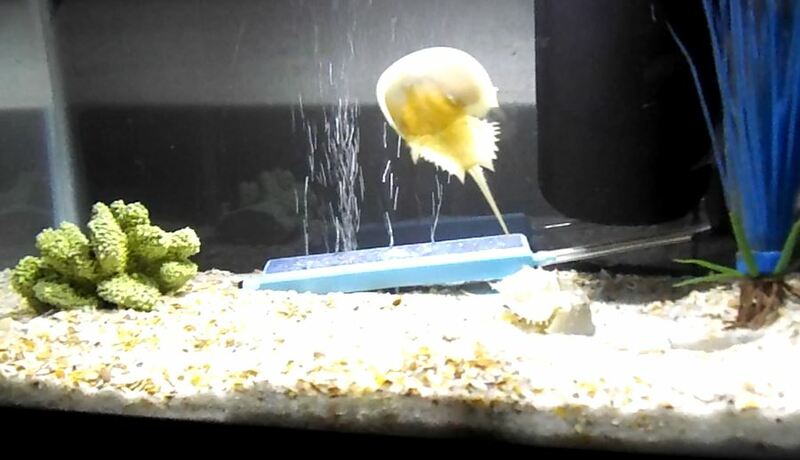 I purchased two horseshoe crabs a little over a week ago. They were in excellent condition upon arrival, are thriving and were obviously well cared for prior to shipping. 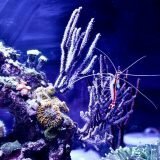 I am recommending KP Aquatics to all of my friends and hope to expand my salt water collection to make more purchases soon! Thank you for the personal attention I received Kara and Philipp! I love ordering from KP Aquatics! My packages are always shipped with utmost care and concern for the animals. I have ordered several octopuses to Michigan and they always arrive in good health. The last shipment I received was only days after their own delivery of a new baby! If that’s not dedication to customer service, I don’t know what is. Thank you, Kara and Philipp for all the beautiful animals you have gotten me over the years! I’ve ordered rom them twice and have received excellent products. They package their products really well and always come in a timely fashion! These Folks are the greatest! We’re new at trying Gorgs and Sponges on our 210 gallon ‘softies tank’, so a bit nervous. But as they say, ‘Time will tell’, But from their great product descriptions, they gave us the confidence and advice we needed to try. Best packaging we’ve seen, fast service, a ‘little extra’ didn’t mean broken pieces and runts, but full size duplicates, everything arrived in great shape, and began opening almost immediately, and folks that honestly seem to care about how we, and their products they sell us do. Just can’t say enough good things . THANK YOU! I have purchased gorgonians, corky finger, starfish, conch, crabs and a pygmy angel from KP aquatics. Every order is packed very well and every item is healthy and vibrant and looks amazing in my tank. Kara and Phillip do a wonderful job of answering questions and quickly shipping out orders. 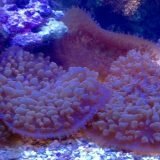 KP Aquatics is a great place to find unique, high quality items for your saltwater tank! Ordered several Reduced Shipping Items.Every thing came alive and well,sandwiched between the freezing winter days.The packaging was first rate.I was a bit shocked that all the critters were in such good condition.They have acclimated well and are doing their thing in my tank.I’m looking forward to ordering more from KP when time and money allows.Thanks again guys.Great job. We just received 30 pounds of Live Rock from KP Aquatics. SUPER FAST delivery and very well packaged. Pleasantly surprised with the quality of the live rock and living organisms on the rock. There are stunning shades of purples, oranges and yellows including plant life. The rock was so fresh it still had live mantis shrimp, tiny crabs, urchins, and a bristle star that all made the trip. Can’t wait to see how the life on the rock grows out. Hope for some really cool surprises. I will buy again from KP Aquatics. Thank you Kara and Philipp! 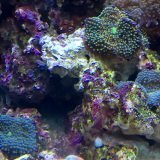 I ordered some algae, snails, and a zoanthid frag. There was a delay in shipping (not KP Aquatic’s fault at all) and it took 6 days to arrive. I expected bags of mush by the time i got my order. I was pleasantly surprised that everything survived the trip and was in great shape by the time i got it. 100% survival!! Excellent products and packaged well. Will definitely do business again. 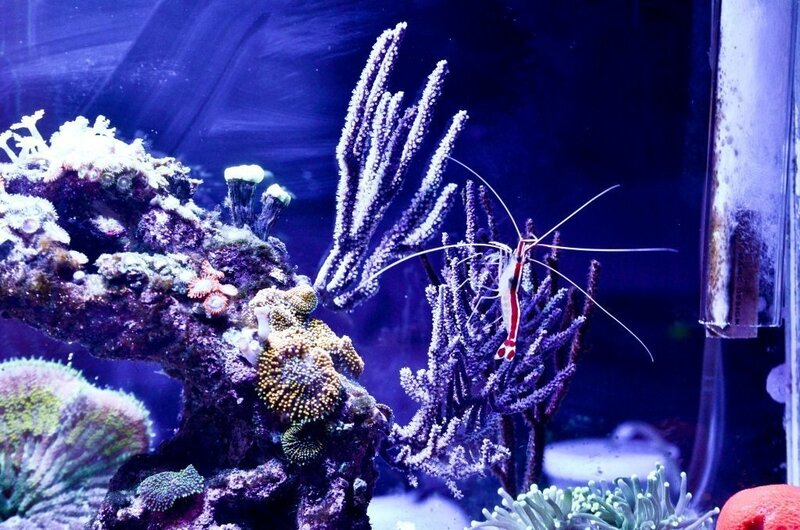 I’ve bought several fish, invertebrates and corals from KP and I’ve been thrilled each time. 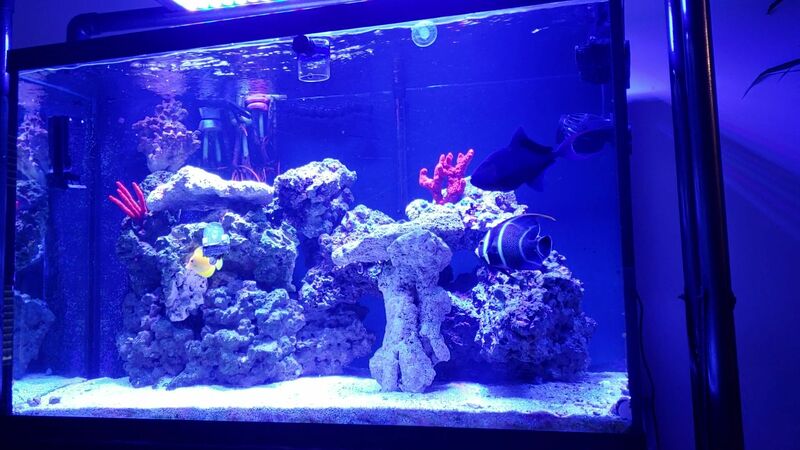 I have a 50 gallon reef and a 14 gallon nano reef and this is the place for smaller fish that work well in a nano. If you only have room for one fish – make it a gold line blenny! Mine has such a huge personality she’s fun to watch all the time. Second recommendation is the sail fin blenny. She likes to perch on or just in her rock and dash out to get food. Awesome. Great quality, well packaged for shipping and interesting stuff you just can’t get elsewhere. They sold me a porcupine puffer that the right fin was handicapped, one fin is not moving. But at least they refunded for that issue which was good and made me satisfy with their service. But their shipping charge should be lowered. $40 for shipping is off the roof. At least $29.95 like the rest of the places charge. KP Aquatics: We apologize for the oversight on the puffer. Almost every overnight package is costing us more than $40. We can raise our prices for our critters and offer free shipping too. I have bought a couple of big angels. They send me amazing and healthy fish. I was hesitatant to deal with a small family owned supplier, but it was well worth the risk. These folks care about the fish, and about their customers. You get personal service that you would never get from the big players. I’m glad I took the chance here, and I will do it again. I recommend these folks to anyone to get quality fish and great dervice. Philipp and Kara always provide the best service around. Their always available to answer any questions and always willing to help. The quality of their stock cannot be surpassed. 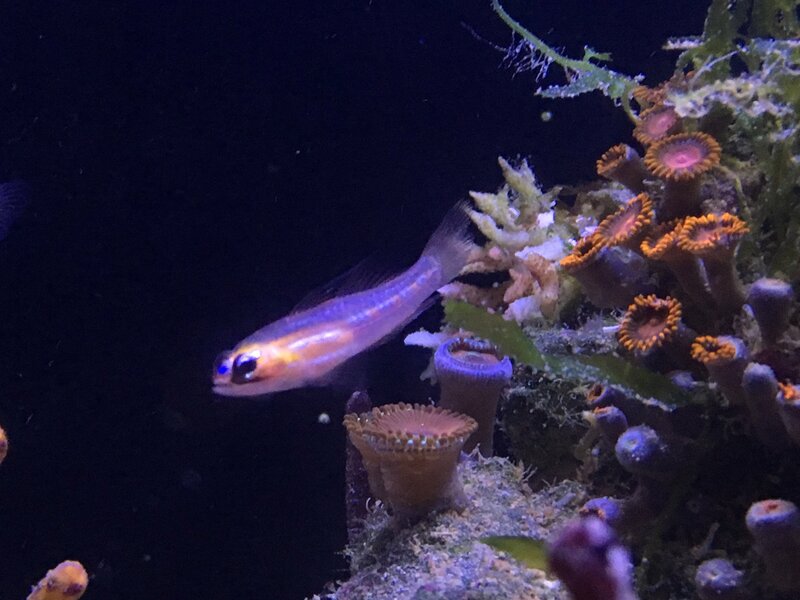 Picture attached is of a mated pair of Neon Gobies I had ordered. 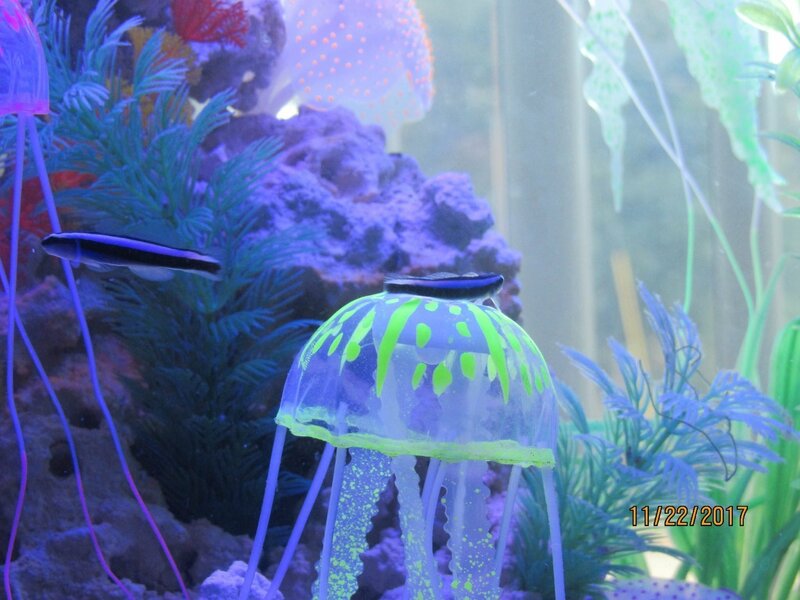 They’ve set up shop on top of the fake jelly fish in my seahorse aquarium. They often lay sided by side making quick dashes to get something floating by but return immediately to their perch. Very entertaining. This was my first order from KP Aquatics and I was very impressed. 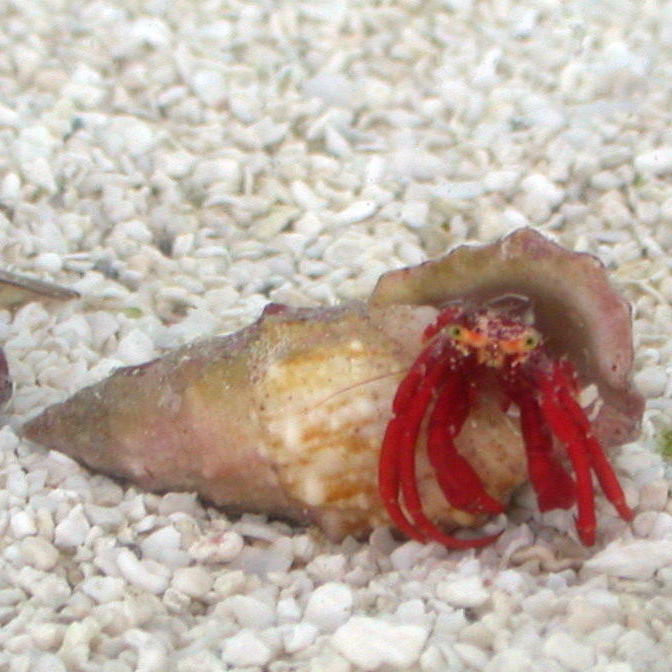 I ordered a pygmy angel and 1 emerald crab and 1 red mitrhax crab. All arrived healthy and active. I also received an extra emerald crab free! I have had them for a few days now and they are all eating and doing well! The angel fish is beautiful and peaceful. 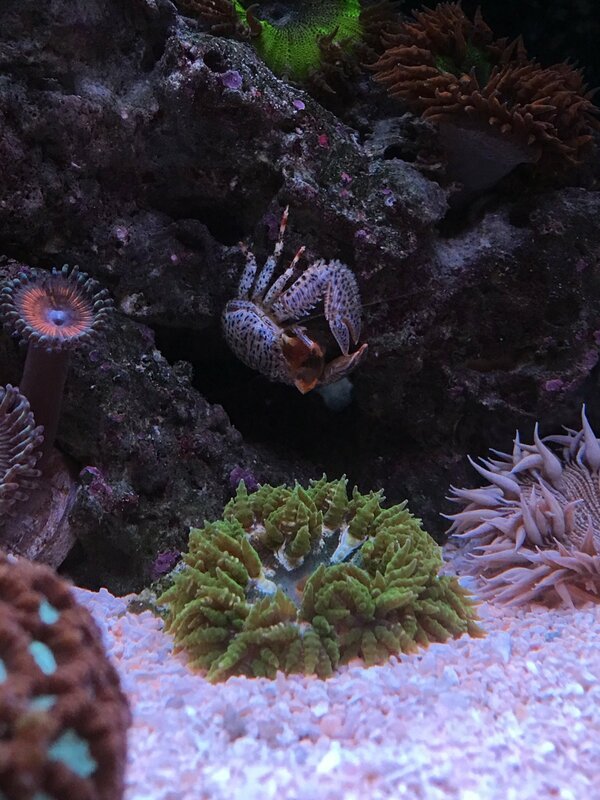 The crabs have done an amazing job of dealing with the hair algae in my tank. I had tried several types of snails and a couple of different hermit crabs and none have even come close to the results that the mithrax crabs have produced!! I will definitely be ordering from this company again. 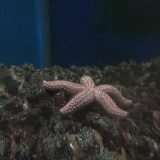 I ordered two starfish and am extremely happy with my order and the service I received from the crew at Kpaquatics. They go far and beyond to make sure you get exactly what you ordered and that you are satisfied. Everything arrived in great condition and better then expected. Highly recommend, you will not be disappointed. Thank you Phillipp for all your help. I have only bought two fish from this company, but they were responsive to my questions and the fish arrived safely and in good health. After a three week quarantine and acclimation, they took very well to the display tank. First of all, communication was excellent. I ordered 15 snails (but got 18)with priority shipping . I received my snails on time and they were packed in plenty of water, double bagged in a thick insulated box and cooling pack on top (this was during hot weather). They were clean with no algae, etc… visable. Its been 3 days and so far no problems. I got astrea and cerith. Also Price was good on snails and shipping . I will definately be ordering again. I received my latest order last week. It was mainly for algae eaters, i.e., blue hermits, snails, plus urchins. I requested overnight shipping due to the summer heat. I strongly recommend overnight shipping for almost all their livestock. Anything live will be much less stressed and have a much better chance of long term survival. I have been buying from KP for a long time now. I’ve gotten all sorts of livestock and everything has always arrived in good shape. 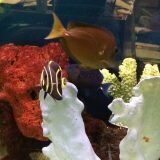 I have purchased many fish and inverts from KP Aquatics and have never been disappointed. Great service! Great quality! We ordered 2 corals and a horseshoe crab. Service was great, livestock arrived well packaged and in excellent condition. Very happy with our experience! I was hesitant to order online because you never know what you are going to receive. I ordered 25lbs of uncured live rock and the package shipped and received the next day. The uncured Aquacultured Live rock was beautiful. I just submitted a second order for 25 LBS of uncured live rock. Get Service! Recommend for anyone who is worried about online shopping. The most gorgeous live rock I’ve ever seen covered with all sorts of life! Found a couple of pencil urchins and feather dusters along with tons of cool growths. Every time I look closely, I find more neat little lifeforms. Would recommend 100% Thanks guys! Seeing is testimony enough! But if not here’s the specifics. 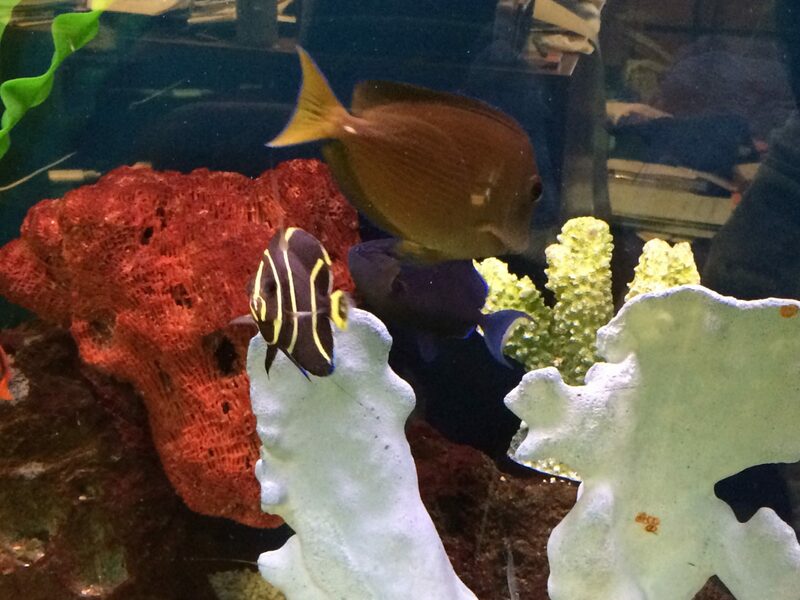 The beautiful Atlantic Blue Tang was placed in this tank in August of 2012 in it’s yellow juvenile coloring. 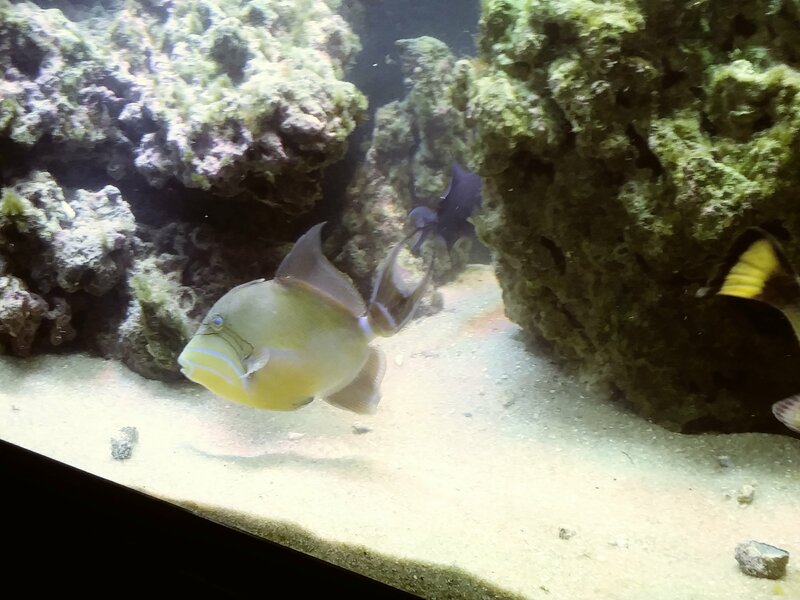 The Black Angelfish was added in Dec 2016. Sorry the picture isn’t a little better but this is what you can expect from K&P Aquatics! My order arrived on Tuesday and today is Saturday, so everybody has been in the tank for over 4 days. I ordered 2 tangs, a mated pair of neon gobies, a mated pair of gold banded shrimp and a yellow sea feather gorgonian. Everybody arrived alive and on time. I was a bit concerned that the tangs looked very pale, almost translucent in their bags. But after a short acclimation and 30 minutes in the tank and they both colored up just fine. The juvenile Atlantic blue tang is a gorgeous bright yellow. Both the mated pairs are hanging out together. I’m very happy with the service, the condition of all the critters and the prices. Thanks for dealing with my first order with you so well. You can count on more to come your way as well as my making your quality operation well known to my friends. I cannot explain how wonderful the animals in my recent order looked. The sizes were above my expectations. The color and beauty of these specimens is better than I could have ever imagined. The packaging was first rate. I will definitely be placing another order soon. Thank you so much. Keep doing the great work that you are doing. There is only one reason anyone becomes a repeat customer to any business. The experience they had lived up to or exceeded their expectations. I’ve been returning to this vendor for that exact reason. And with every delivery from Philipp my expectations are blown away and my satisfaction is taken to a whole new, higher level. This order received on 1/31/17 was no exception. The livestock arrived in the usual professional packaging I’ve come to expect. I also knew there would be extras, it’s claimed on the bottom of every receipt. However I was very taken by those received today. As I removed the items I became ever more grateful for the oppotunity to make purchases from kpaquatics. Thank you Philipp. Thank you Kara. For loving what you do and caring about us, the customers, enough to send only quality and go the extra to guarantee our satisfaction. Five pieces, different species, all arrived to my home in San Francisco happy and alive. Week later all flourishing – very pleased! Stumbled across KP looking for a small quantity of rock for a new tank. It just arrived and is EXCELLENT. Quality, shape, size, color are perfect and it’s novel to find nice rock that isn’t just dyed purple these days. They contacted me following my order to a suggest holding off a week because they have pieces more in line with my needs for small pieces, rather than shipping me dregs. The cured ten pound box is a very economical deal (and I suspect weighed in well above, I actually had to put a couple of the pieces in another tank!). The wait was worth it. I will absolutely be returning for more livestock for my little mangrove and grass tank. Thanks, Kara and Philipp! My order for small short spin urchins and a little bit of live rock came in in perfect shape. If you are having algae problems, and the problem is not water quality related, there are few things that clean algae up better than young short spine urchins. They eat it like mad. Can’t say enough about the quality of the livestock. 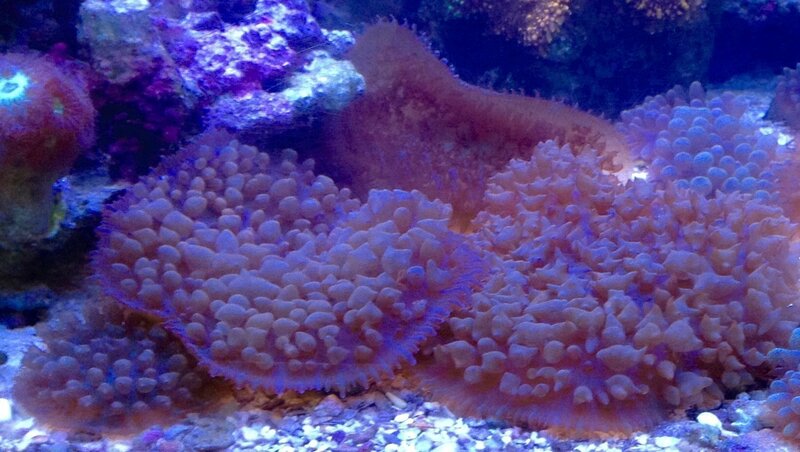 Within a day, I was getting good polyp extension on the gorgonians, and the CUC was moving around doing its business. Quite reasonable pricing and even threw in a couple cool freebies. Highly recommended. Thank you so very much for the quality and care you give. I have been wanting Chitons for a long time and I finally came across your website to see that you had so much to offer. I absolutely love my chitons and they are doing great as well as my serpent and brittle starfish and snails that I got. The sponges I got were packed great as well as my purple sea whip. I am still amazed! I am looking forward to order from you again real soon. I only order fish from K&P Aquatics about four times a year. Excellent packing and shipping. Usually get a small freebie from them. So I’ve ordered from a few different places online, and so far KPAquatics is my favorite. Everything I ordered looked even better in person than they did in the pictures. Plus the way they packaged everything shows how much they care for the creatures shipped. I am very pleased and 100% certain I will continue ordering from them. Thanks guys! First time buyer here. 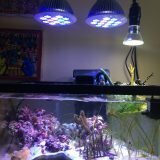 KP Aquatics was recommended to me by some folks on reefcentral.com, and I’m definitely glad I came here! Got the chitons I was looking for as well as some really unique, cool sponges. Everything arrived in excellent condition~ I’d definitely buy something from here again! 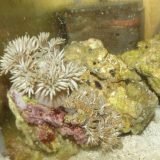 I’ve ordered livestock and corals from a lot of places online. KP Aquatics has been my favorite out of all of them. Everything they’ve ever shipped has been healthy and packaged carefully and professionally. They ship quickly, and I will continue ordering from their store. Everything arrived in good, as usual. My order for a sea hare, hairy chitons, and zoanthids arrived in excellent condition. I have ordered from Kara and Philipp numerous times over several years and this has always been the case. There prices are very good. I do recommend selecting overnight shipping whenever possible. The two day shipping is cheaper, but overnight is much less stressful for the critters involved. I have been buying from KP for years. I always buy shrooms, CUC, or anything that can be shipped with reduced shipping. At only $17.50, this shipping option makes the drive to the fish store not needed. And, after my last package which costs 16.80 to ship, they are definitely not ripping you off on shipping like most sites. The packaging is always professional with no leakage, and, I have never had DOA with 2 day shipping like I have with other sites. Plus, their prices on shrooms, especially St. Thomas and Ric’s combined with reduced shipping is much cheaper than FS’s. Whats even better is that they tend to give a freebie with each order. I had asked for 2 nano pencil urchins with my order. For whatever reason, the site was not showing that they had them. So, since they are an awesome company, they included them free in my order in addition to a couple extra hermit crabs and dwarf cerinths. I highly recommend this company and will keep ordering from them in the future. Dealing with KP Aquatics has been a wonderful experience. Iwas looking for specific livestock choices, which at the time weren’t in stock. I sent an inquiry and received a prompt reply. They went out and caught the fish that week. Packing was well done and they all arrived in great condition. KP Aquatics will be my go-to source for any Caribbean livestock. I have now placed multiple orders through Philip and Kara’s company, and must say it is refreshing to be dealing with folks who deliver on their on line and verbal representations, with reliable consistency. Easy to claim to deliver WYSIWYG, however not all vendors have the elevated ethics that Philip enjoys, as required to also deliver that same, exact specimen per photo documentation representation. Philip and Kara make a professional team, they deliver on quality products that always do well in my tank. Thank you again KP Aquatics, for the bonus urchin and the most beautiful specimens I have seen in a tank. 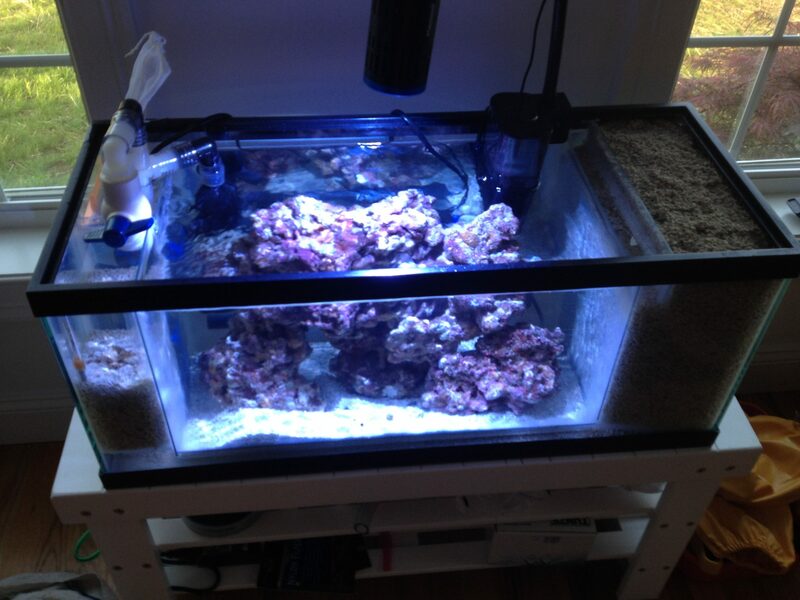 You are my goto spot for any marine live stock and I defiantly recommend the uncured live rock for a new setup too! Thanks KP , the uncured live rock cured very quickly, with very little die off. 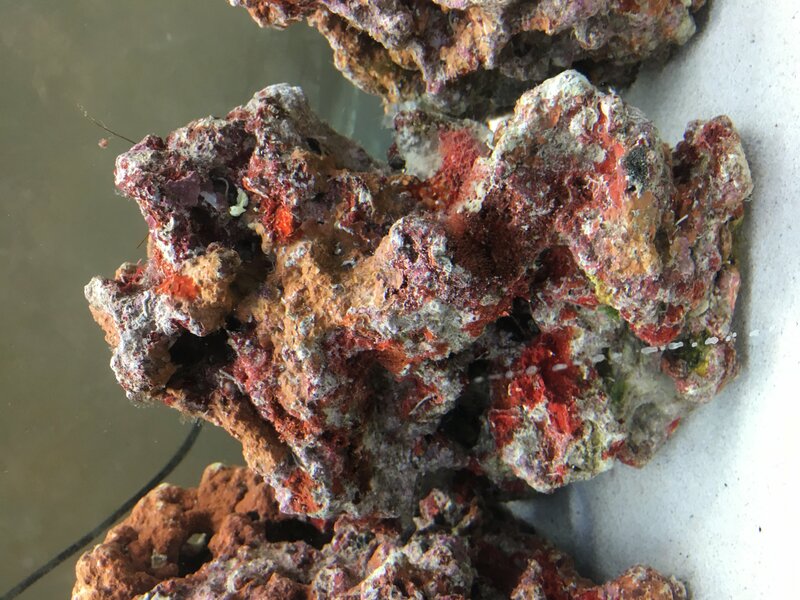 The live rock rock works perfectly with the Zeovit system, and I did not receive any of the unfriendly hitchhikers just beautiful colored and shaped rock that instantly turned my tank into a miniature ocean. 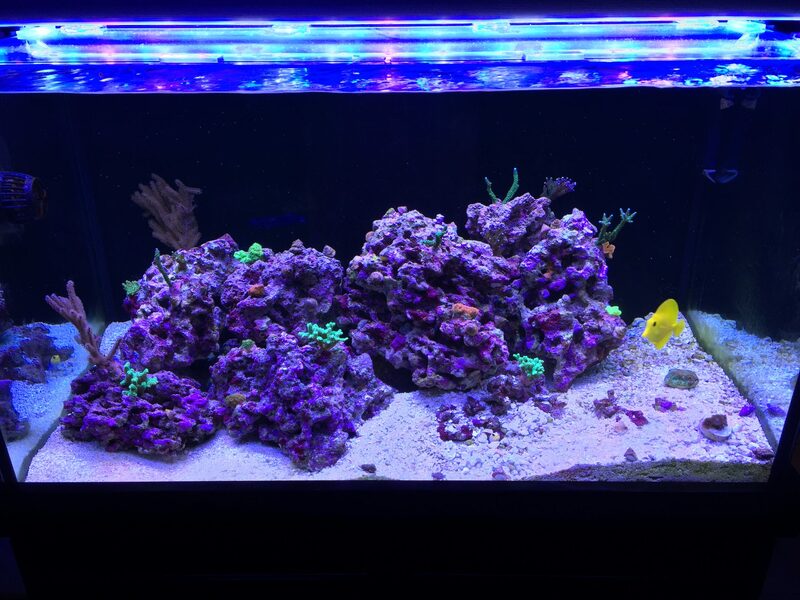 This is my first reef tank. 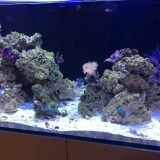 I have a nuvo fusion 10 gallon. After doing my research, I heard about KP Aquatics and their quality of live rock. 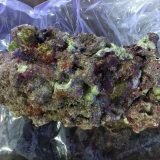 I bought the 10 pound nano package of cured live rock and it cured in 2 weeks. It could’ve been quicker, but this was my first time. After I got some advice from KP Aquatics to do a water change, the ammonia dropped to 0 within the next few days. The person that helped me replied very quickly and was super patient and open to helping me with anything. The customer service they offer is superb. 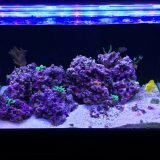 Its been about 6 months since I purchased the rock, and my tank is flourishing. I’ve shopped at LFSs all around Orlando, Sarasota, Bradenton, and even Sebring. None of these stores had rock in their display tanks that even looked like the rocks I got from KP Aquatics. 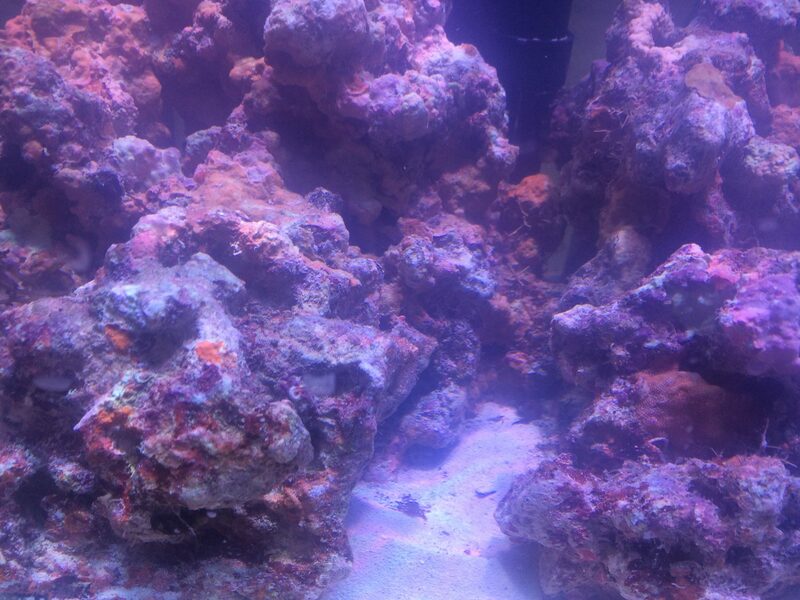 My rocks are covered in coralline algae, had tons of feather dusters, sponges, all sorts of other critters and a number of things that died because I’m a beginner. 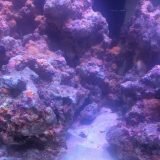 I’m super happy that I started this hobby and that I used their live rock as the foundation for my reef tank. Ordered a couple single mouth ricordeas, a nano zoa and a porcelain crab a week or so ago. 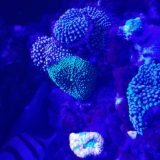 After acclimating and placing everything in the tank I ended up with a double mouth ricordea along with the single and a zoa with ten plus heads. Everything looks great. Sadly the crab didnt make it but I dont beleive it had anything to do with the quality or health of the crab. Will order from again. 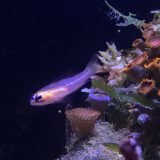 The pair of jawfish are beautiful and their tunnel building is the most interesting thing in the tank. I was hoping the pair of CB shrimp would show an interest in my bristleworm population, but no luck on that yet – fingers still crossed. I was slightly worried about the cucumber since I hadn’t seen sign of him in 3 days, but he’s reappeared and is constantly pulling in sand and making nice little piles of digested sand/debris. The whole order came through healthy and has all seemed to adjust to the tank with no losses. 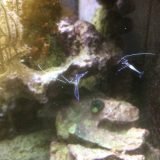 I came to this site to solve green thin string algae growing in my tank, specifically for lettuce sea slugs. 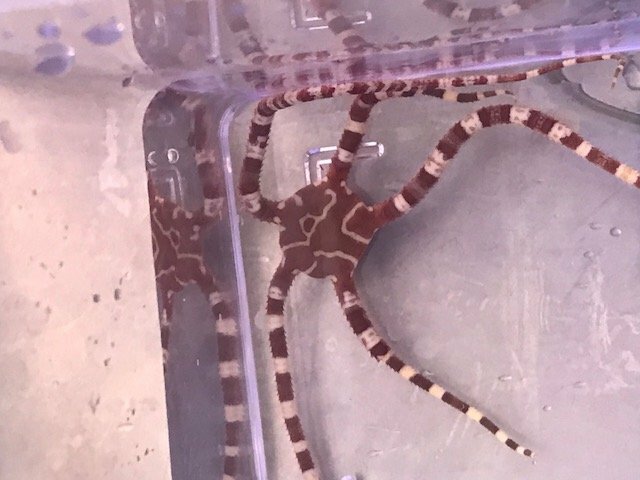 While at the site, I also spotted nano red brittle stars, and pistol shrimp for sale too! Everything arrived fine within 2-days by the post office. I put the sea slugs to work by placing them in a patch of algae, they sat there awhile and grazed, then go off to explore the tank some more, and finally return back after resting. They are healthy specimens, larger than I expected. LOL – I had read they need the algae to survive – at the rate they eat the algae so far, the two I have living in my 14 gal nano tank will be around quite some time. 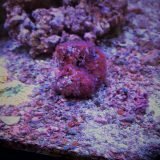 I also ordered the nano red brittle star. After two weeks, its still hiding in the rocks. I sometimes have to shine a flash light into the rocks to find it and see it move. 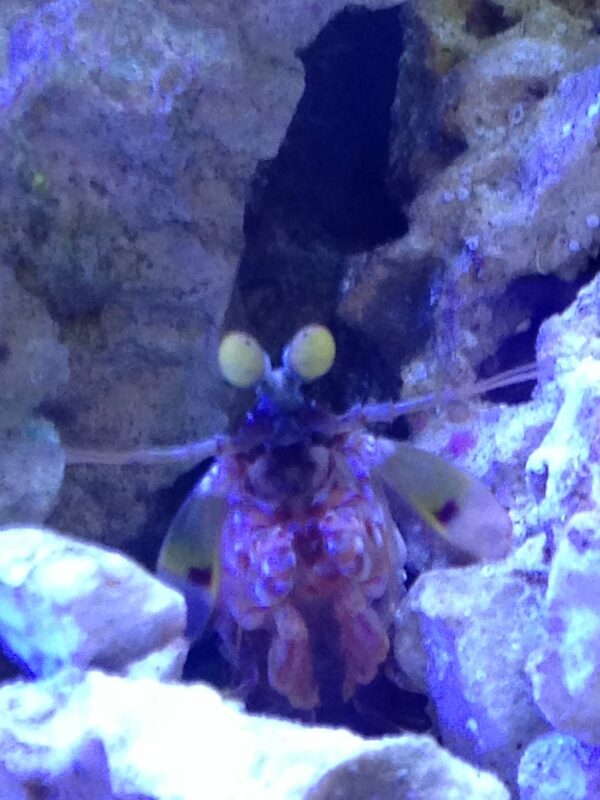 As for my pistol shrimp, all I can say is he too is in hiding after 2 weeks. I haven’t discovered more than 1 tunnel so far built. 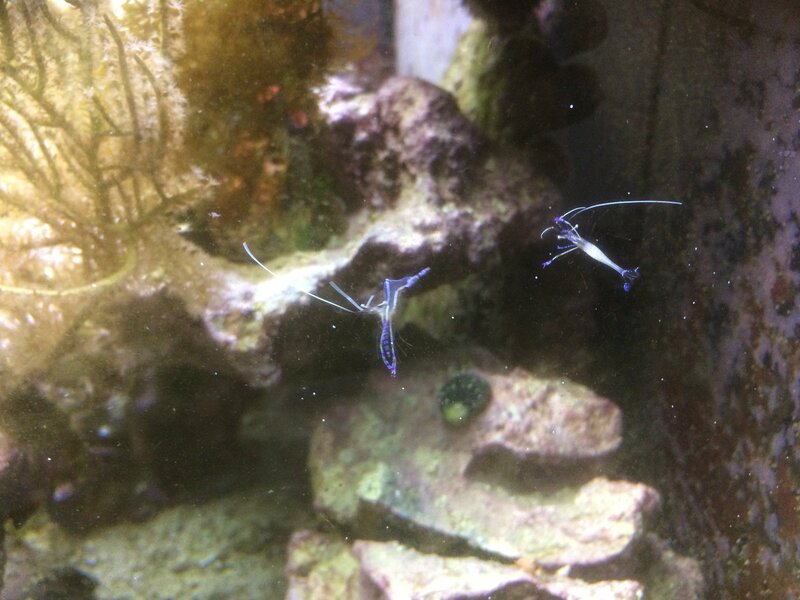 It does not come out yet, but it seems my shrimp goby has found two new spots in the tank to now hang out. Boy, whenever I am ready to move up to another tank size, I will certainly return back to this site to stock it. 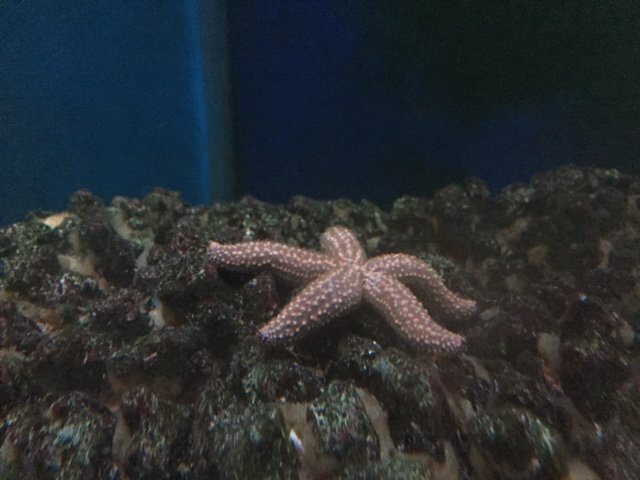 kids love the tank….got some starfish to watch…and ricordias for me. All specimens shipped well and acclimated successfully. Little freebie was included…this company really wants to please their customers. I already have my next several orders circling in my head. A pleasurable business to work with. Fantastic animals. Will order again. Thank you for letting us stop by on Monday. It was great to meet both of you and see your operation. It’s wonderful to see how much care you put into everything you do. You are to be commended for your commitment to providing wild caught marine life with as little impact to the environment as possible. The ricordeas, mushrooms, zoas and crabs passed through TSA security without a question or comment. 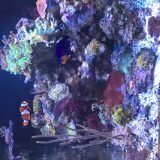 Everything is doing very well in our tanks. 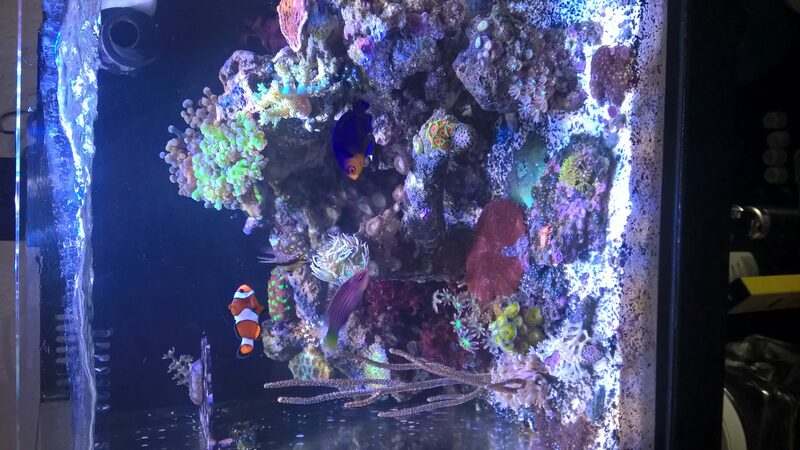 The beautiful orange and purple with green skirt ricordea florida looks very happy in its new home. I feel so honored you let me have it. It will be my centerpiece ric! One of the main reasons we extended our vacation was so we could visit your warehouse. Thank you again for letting us stop by! First time ordering. I ordered 3 Ricordeas. The double mouth had actually 3 mouths and all opened up as soon as I started acclimating them. My rainbow is beautiful with orange and green. I love them and one is already almost split and I’ve only had them for 5 days. I also received a free zoa that has already opened and is doing great. Highly recommend, and the double mouth ricordea is the only way to go. I will probably be getting more. 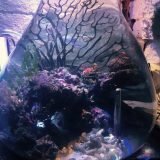 I recently purchased a variety of Gorgonians and a good number of clean up crew critters. All of them arrived in excellent condition and continue to thrive in my aquarium today. Thank you KP Aquatics for the professional care and packaging that my order received. Since everything I ordered is alive and doing well, do I send the kindly received free stuff back to you? Five Stars! 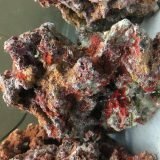 I have been ordering livestock and live rock from KP Aquatics for several years now. They are very reliable. Their prices are quite good. Everything comes in alive and in good condition. I did an order of various algae eaters two weeks ago and, once again, everything was alive and in good shape. I strongly recommend using FedEx overnight for shipping even on the reduced shipping items, especially if you’re ordering a smaller quantity of fresh, uncured live rock. 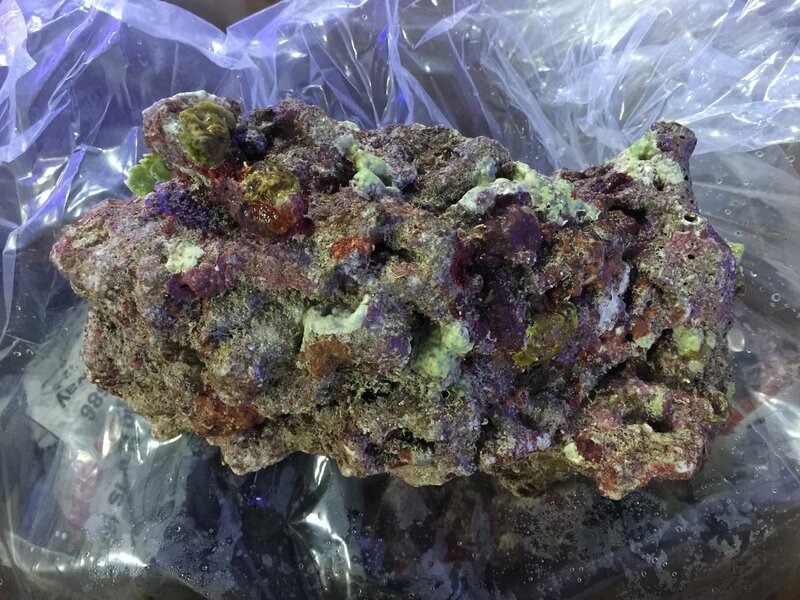 Many of the organisms that make uncured live rock so interesting will have a much better chance of recovering from the stress of shipping when the shipping time is reduced to a minimum. Kara and Philipp I have attached a picture of my wife’s 65 gallon crystalline from planet aquarium’s after being setup for only two months. 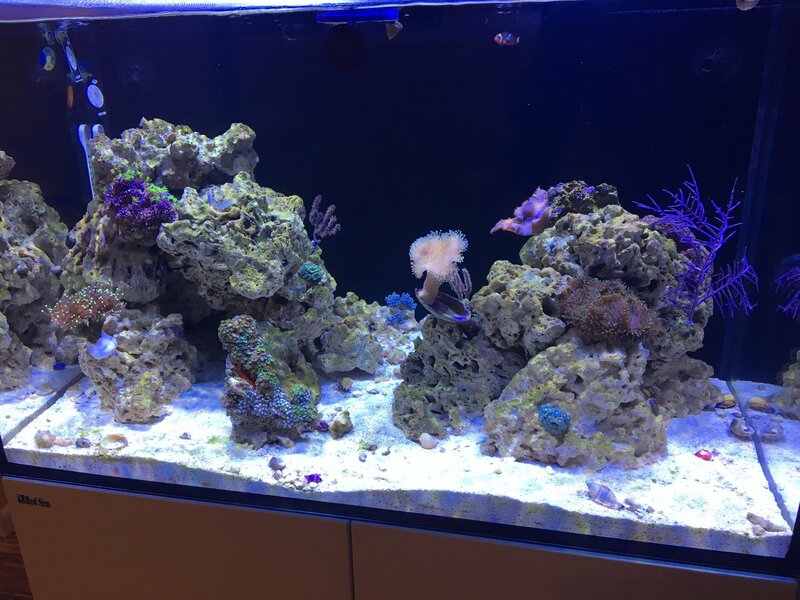 The rock turned out awesome and since it was “live rock” I was able to frag corals from my other two tanks and place them in this tank almost immediately. You will also see gorgonians and the pair of yellow head jaw fish we received from you last year. Thanks again for everything and keep up with the great products and service! I have to say – ordering from Kara and Philipp means not worrying at all about the quality, health and care of the animals I purchase. I have seldom seen such a great packing job as these folks do! Having shipped live reptiles for many years, I well know how the packing job can mean success or possibly death for the animals in that box. Never have to worry with KP! The condition of my livestock is always stellar – and this time, I had requested the smallest individuals, and was promptly assured that they would select appropriately for me. Perfect!! Thanks, you two, for making my day with your sea creatures!! It’s why I always come back!! 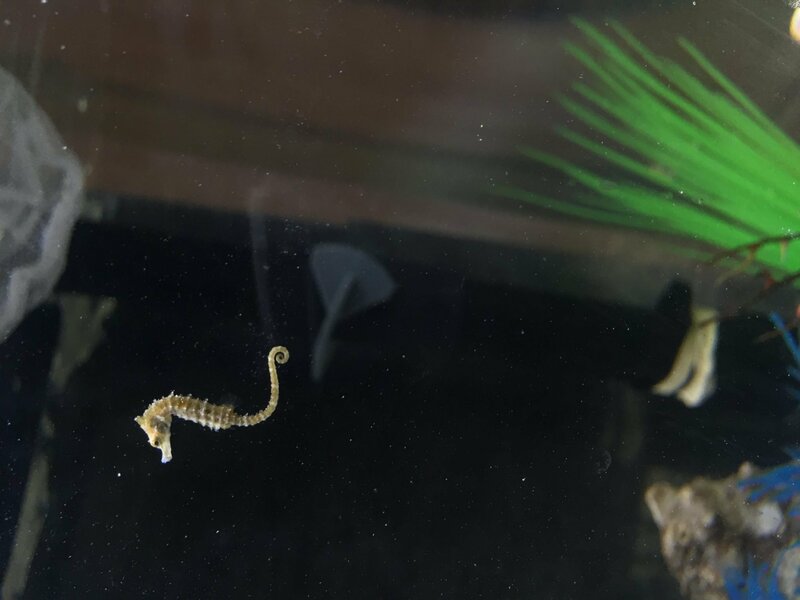 I ordered 2 seahorses since this was my first time buying from them and they ended up sending 4. Whether this was an accident or not, I’m extremely glad they did because I’ve had them for 2 weeks now and they are still doing great! 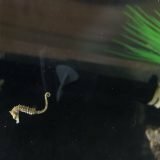 The seahorses seem to be very healthy and are very observant. I will definitely buy from them again! Once again KP comes through with quality products and great service. 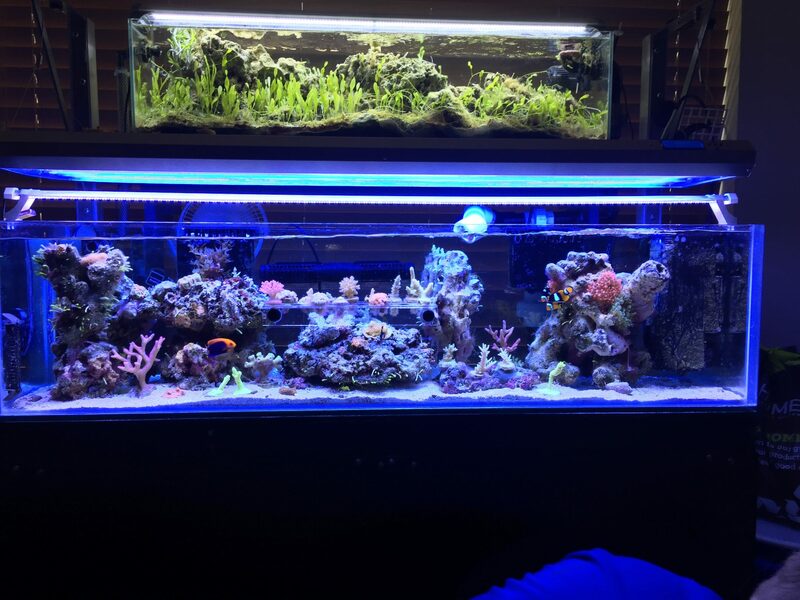 Highly recommend this company for any and all saltwater needs. Only problem, and NOT KPs fault, the red Mithrax does not seem to like bubble algae. Still very satisfied and will order again. 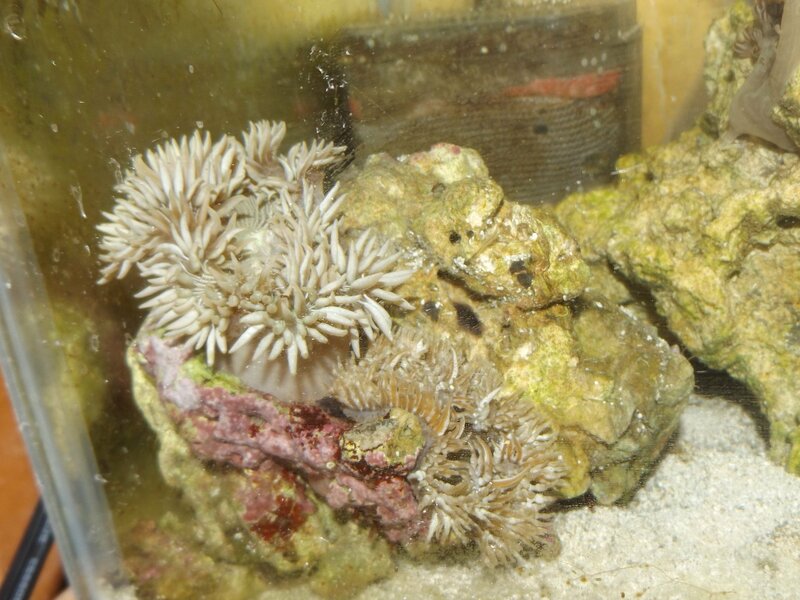 I ordered Astrea snails, blue hermits, and short spined urchins that were delivered last week Wednesday. As usual, they came in in great shape. I have been ordering livestock and live rock from Kara and Phillip for years now. Everything always is exactly as they describe and in great shape. I strongly recommend them. I also strongly recommend that you request the FedEx overnight $40 whatever fits in the box shipping, even for smaller quantities of live rock and animals that will tolerate 2-3 day shipping. The critters will be livelier and the interesting little things hiding in the live rock will have a better chance of surviving. (I) ordered some common stars and some hairy emerald crabs. I knew that the emeralds going for my bubble algae was up to chance. 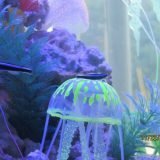 Well, they all love bubble algae and I couldn’t be happier with my purchases. So happy I just made another order. A neon goby pair, more common stars and a red serpent star. I will be a lifelong customer of KP Aquatics. The specimens have always been very healthy. The extras that have been thrown in, while not necessary are very much appreciated. Really shows this company cares for its customers and what this hobby is all about! Just know this customer appreciates what you guys do, and in my opinion are doing it right! Place an order for fish and invertebrates. Everything was individually bagged and packed carefully in a well insulated shipping container. Everything was alive and active. All acclimated without any problems and are doing their thing in the aquarium. Has a few questions which were answered quickly in a professional manner. Great company and high quality wildlife. Will definitely be buying more from KP Aquatics. Love my mushrooms they are doing great! Will order again soon! Great packaging and shipping!Thanks Kara and Phillip! did a group order that was upwards of $500. every single item was well packed, with cool extras of multiple things! 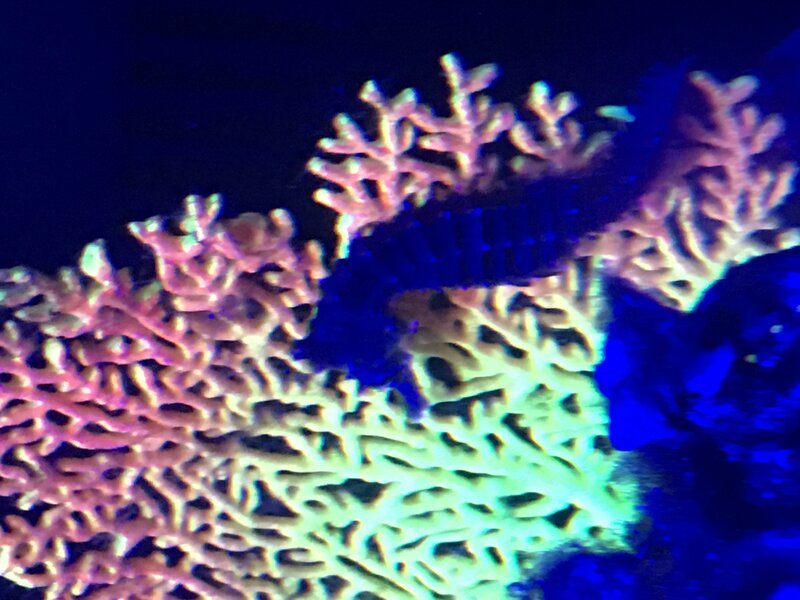 fish, sponges, clean up crew, and gorgonians were all ordered. only DOA was an emerald crab which they had already sent an extra of! buy with confidence, my new favorite website. will be ordering again soon ! I have bought fish from Sealife and KP Aquatics for many years. I have been in the hobby for over 40 years. I have dealt with many suppliers and collectors. Kara and Philip and Kara’s dad Ken care about the environment, the fish and inverts they collect and their customers, I recommend them without hesitation!!! If you want something unusual just ask, chances are that if it is their area they can collect it. This is good company run by good people. It’s been a month since I received my 70lbs of liverock. I have to say I’ve been totally amazed at the quality of the experience. The shipment was packaged really well and most everything survived, including most of the life on the uncured rock. Each day I seem to find another new encrustation of sea-life. The vibrant colors and diversity of organisms associated with this live rock is astounding. These guys have exceeded my wildest expectations and am thankful that I learned of this company. I’m planning my next order. Made an order from KP and another site same time and have never used either one before. Other sites stuff died in one day while KP zoanthids opened up within an hour and the orange gorg is so perfect and doing great. No comparison and not sure why the other company stuff died. Pretty much will do all my orders here from now on. 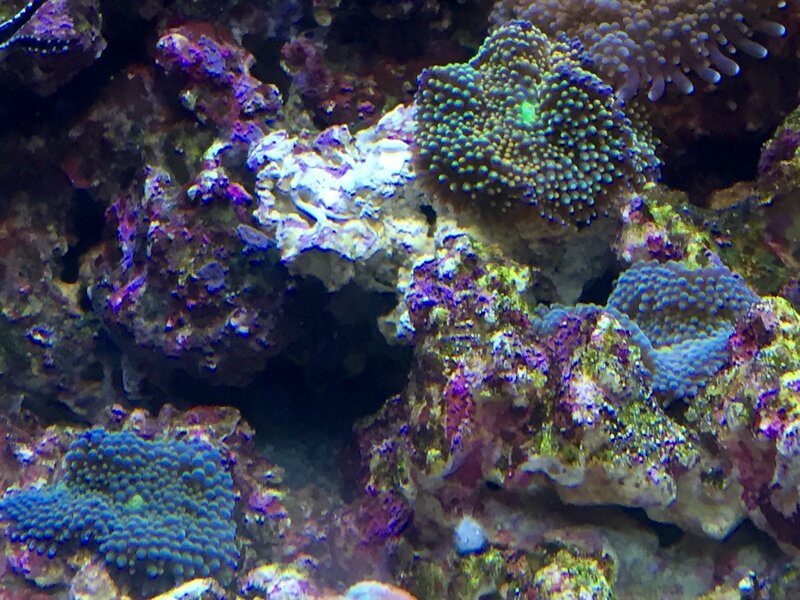 Thanks for such perfect, healthy corals! 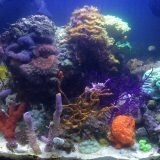 I have been ordering from KP Aquatics for several years now. Their cultured live rock is very nice, especially if you pay for overnight shipping. I rarely receive anything in poor condition. 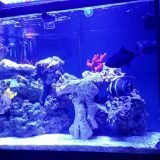 I have been keeping marine tanks for over 50 years and mail ordering livestock for over 25 years and these guys are among the best. I placed an order of inverts and dwarf seahorses, the order arrived quick, well packaged, and no DOA! 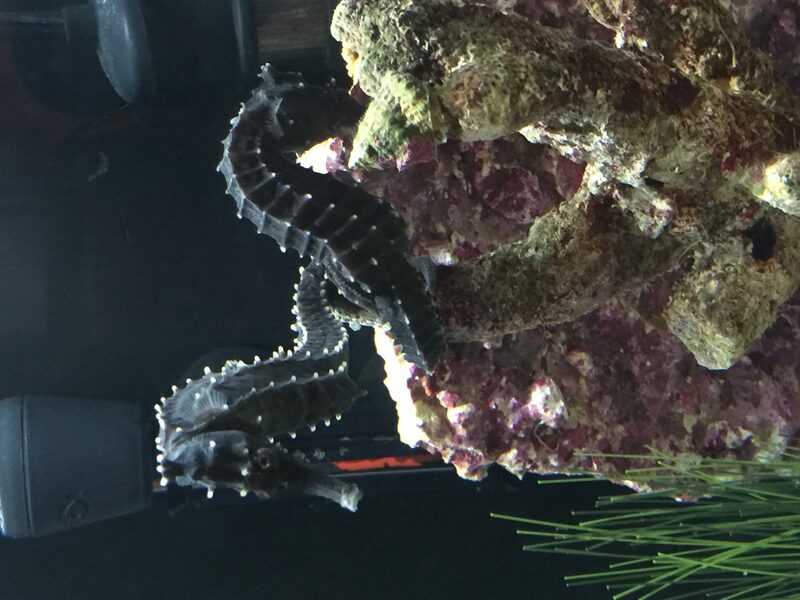 Several extras were included and one of the seahorses gave birth the day after arrival! I will order from KP aquatics again! Very happy with the order. 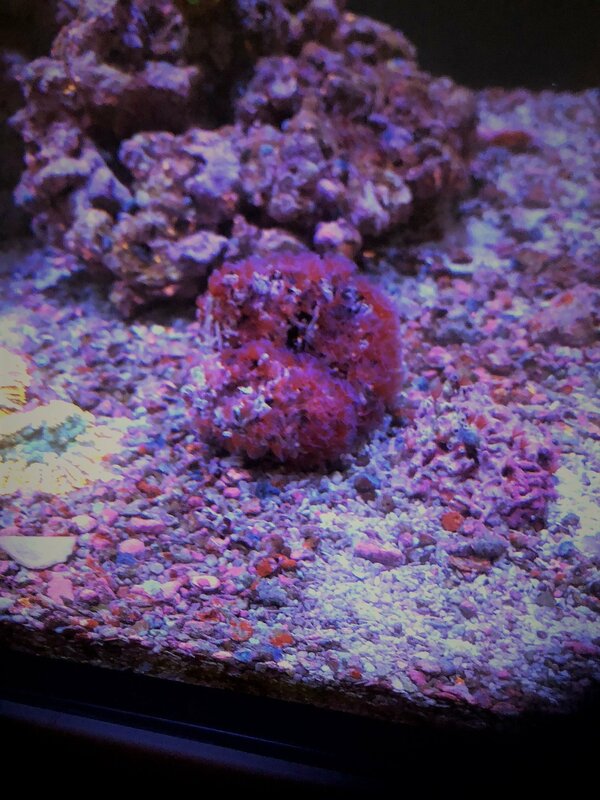 Ordered 4 dwarf seahorses and a coral from KP. All arrive alive and happy. Was surprised to find an extra female and one of the males was pregnant. He had his little ponies last night and I couldn’t be happier. 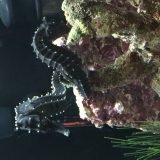 Great little horses and health coral. Thanks again!! I bought a bunch of Gorgonians, some shaving brush plants, a ton of snails, and a handful of scarlet reef hermit crabs. Everything arrived and packaged impeccably in heat sealed bags as opposed to just rubber-banded bags so leakage was not even an option to occur during shipping. 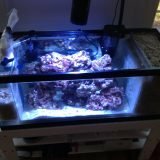 Every specimen arrived alive and in good condition and all the Gorgonians immediately put out their polyps within an hour of acclimating to my tank. They even included a bonus gorgonian and bonus snails and hermit crabs as well. Almost 2 months later and all specimens are thriving and all Gorgonians seem to growing quite well. This just shows that the seller makes sure to sell high-quality specimens that are healthy and arrive in perfect condition. Just put in another order for more goodies this evening! I have been ordering from SeaLife which is now KPAquatic for years and will continue to do so! The quality and variety of their items combined are unbelievable. Just amazing! 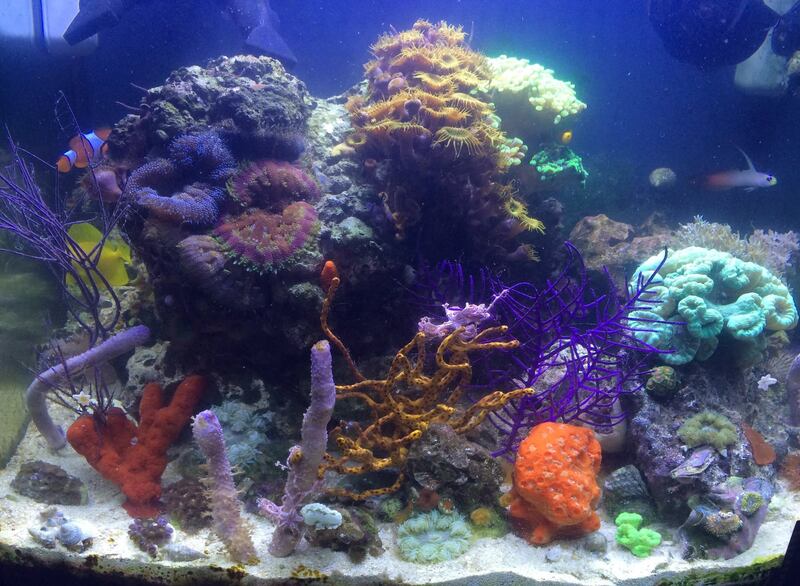 My tank has such a wonderful variety or colors and aquatic life all because of them. 🙂 Besides the quality of their items, both Kara and Philipp are just wonderful people, they go above and beyond to answer all questions through email and phone conversations. They really care about their customers and their business. Dont hesitate to order from them! You will never be disappointed with an order placed with them! KP Aquatics is a great business to choose for your online purchase. I have ordered from other online sources only to be disappointed when the shipment arrives. I have ordered twice now with plans for more. I have yet to be disappointed. You can tell they take great pride in their work. The quality of life is amazing. Shipping is superb and quick. I look forward to placing more orders with KP Aquatics. In my opinion, they are an A+ business. Everything groovy. All in tanks. Should’ve ordered more. Hi, Just a short note to say that my order arrived. All appear to be healthy and no worse for the wear…. Those were quality animals you sent. 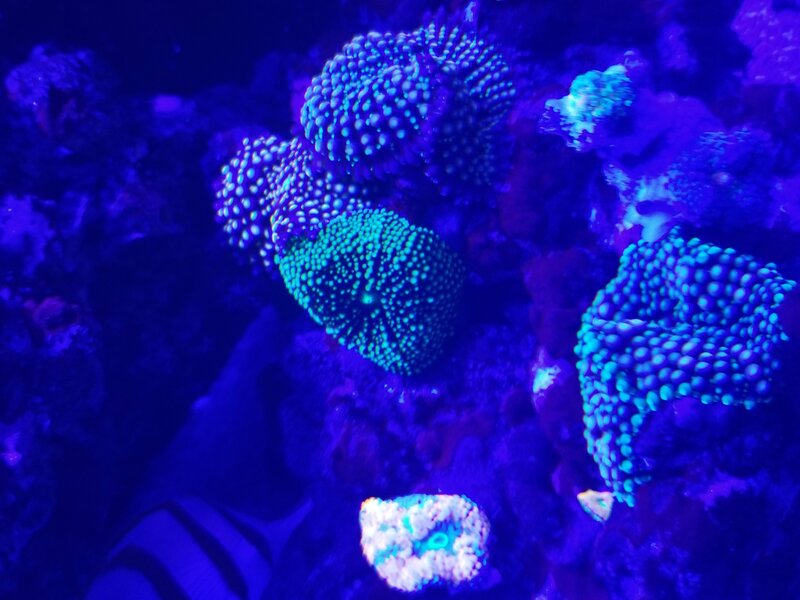 Had I known how good they would be (I’ve been burned by other sites), I would have ordered a few other things like some mushroom corals….. You did a great job packing. There were absolutely no leaks and the heat packet was still warm to the touch. I also want to say thank you for the extras. They are greatly appreciated. I will certainly return for more products from you.